H.H. Sri Chandrasekharendra Sarasvati, a Sankaracharya of the Kamakoti Peetham, has stated in glowing terms that the "Ribhu Gita" is to the Sivarahasya as the "Bhagavad Gita" is to the Mahabharata. First-hand descriptions of the experience of Nonduality are precious and rare. None is more powerful than this classic. Its uncompromising declaration communicates the uninterrupted direct experience of the Sage known as Ribhu. The language is accessible, forceful -- and points clearly beyond the limits of time and circumstance. The Indian cultural frame, traditional dialog between Guru and disciple, is subsumed into the directly penetrating insight that is absolute, beyond any concept. In this second edition, footnotes have been added presenting alternative meanings to the word or phrase immediately preceding the footnote number or show the Sanskrit word in transliterated form that has been translated into English. This second edition also contains an enhanced glossary from the original first edition. In addition, The 108 Names of Ribhu, in Sanskrit and English, is included in this new edition. May we all recognize in this text the freedom and happiness of the Absolute, our True Nature, as reflected in the words of the great Sage Ribhu! 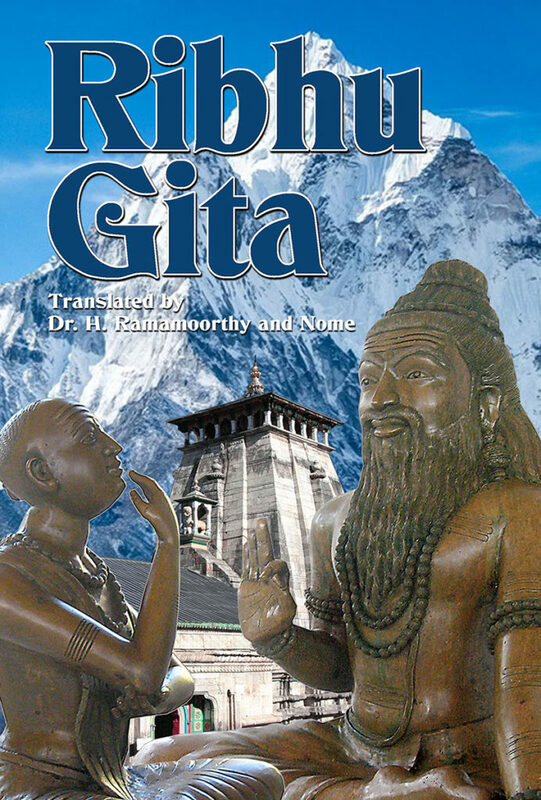 ~ Ribhu Gita is now also being printed and distributed in India through Amazon.in, Flipkart.com, and Pothi.com.